It’s good to know that when the government has a point to make about Brexit, it’ll happily stump up a mere £92m to do so. The recent announcement of £92m funding of an 18-month study to weigh up whether and how to go about developing a home-grown alternative to the EU’s Galileo system smacks of a government that has either lost its financial marbles or is playing a canny game of chicken with Brussels. There will be a further £3.7bn payout to follow if the ambitious system (ever) gets the go-ahead. That £3.7bn is just an initial budget estimate, of course. But defence system costs rarely go down. Defence and space specialists might well conclude that this is less a case of whether the UK has the capability to design and build its own GPS system – it certainly does – but whether we can afford it. Any rival project to Galileo would no doubt involve time and cost overruns (both GPS and Galileo cost far more than initially expected) which will be difficult to stomach in a post Brexit world. In justifying the project, the government insists that satellite navigation systems like GPS are “increasingly important for commercial, military and other critical applications, from guiding aircraft, ships and emergency services to helping millions of people find their way on car journeys.” A “recent government study” – yes, from the same government – estimated that “sustained disruption” to satellite navigation would cost the UK economy £1bn per day. So, on that basis, you might conclude, £3.7bn to build our own system is a snip compared to the economic damage were such “sustained disruption” to occur. It might be different if the cost were to rise to say, £5-10bn. Could procurement opportunities eventually emerge? And would they be accessible beyond the usual suspects? Perhaps the key phrase in the government’s announcement – which notably included a reference by Defence Secretary Gavin Williamson to the launch of the UK’s first Defence Space Strategy later this year – is that even if the decision was taken not to create a UK independent satellite system and the UK remained a full member of Galileo post-Brexit, the preparatory work would support UK jobs and expertise in areas including spacecraft and antenna design, satellite control systems, cryptography and cyber security. It’s more likely this is indeed all just a paper exercise to pressure the EU ahead of a final decision being made. 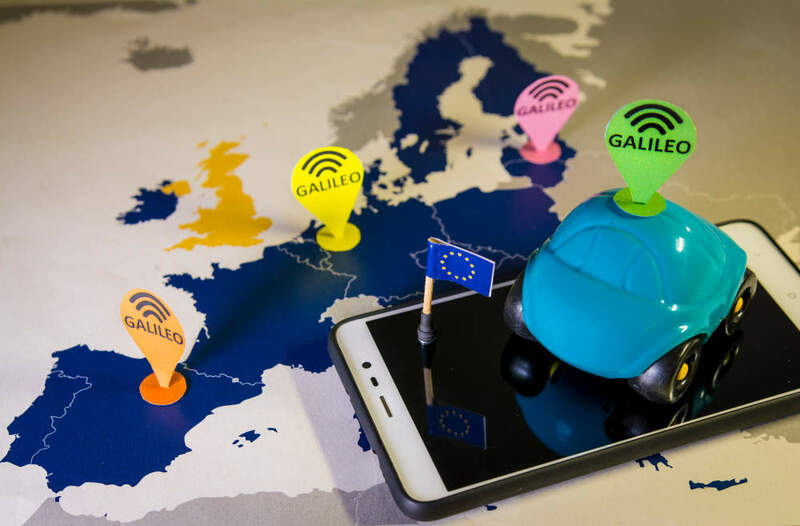 The UK has said it wants to remain involved in the Galileo programme, and is negotiating with the European Commission to this end. It would make more sense for the UK to focus its space budget on other areas and reach some sort of negotiated settlement. But, if the UK does still end up being locked out, and opts to go it alone, there are some who would argue that definitely represents a shot in the arm for the UK space sector. That said, as one informed colleague has pointed out, the media may eventually realise that a large percentage of the “British” space sector is actually owned by foreign companies. Surrey Satellite Technologies (SST), the firm that produced most of the payloads for Galileo, and the satellite production facility in Stevenage, are both owned by Airbus. And CGI, the firm that developed the sensitive encryption technologies, is Canadian. The Daily Mail headlines could make for interesting reading if we do decide to build “our own” satellite system.